“Birth of the Cool: California Art, Design, and Culture at Midcentury” (Orange County Museum of Art: Prestel Publishing, 2008). This weekend marks the day the music died. 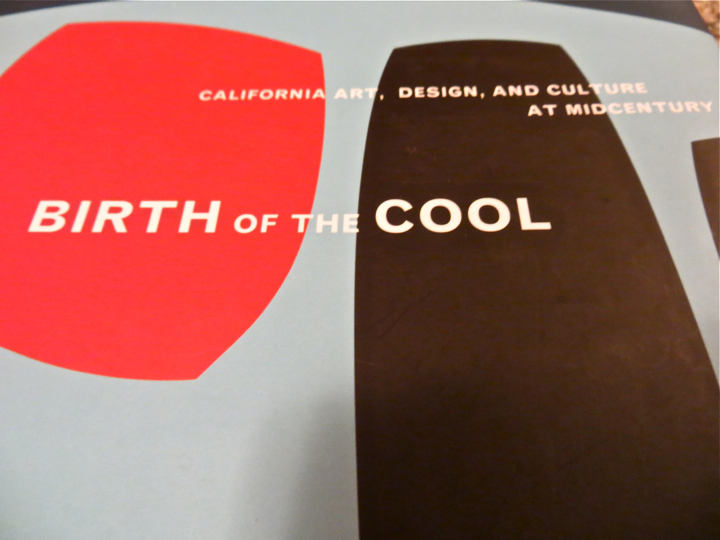 I’ve been reading Birth of the Cool: California Art, Design, And Culture at Midcentury, edited by Elizabeth Armstrong and issued by the Orange County Museum of Art (Prestel Publishing) in 2008. It is a kind of work that explores the genesis (or amplification) of “cool” from southern California, and this raises a chicken or the egg question: in the post-WWII world, did southern California create “cool,” or did southern California appropriate cool, embrace it, and then turn it up to — in the words of Spinal Tap — eleven? Armstrong says that southern California in 2008 is renowned for nice weather, a laid-back attitude, a “propensity for fantasy indulgences,” an attachment to cars, hillsides covered with suburban tract houses, sunny beaches and blondes — those seemingly perfect suburban conditions that provide a launching off point for punk rock. It’s not cool to talk about cool, and that is a primary working definition of cool from the post-WWII world (captured in many ways by Anatole Broyard’s 1948 essay, “Portrait of the Hipster”). In Armstrong’s words, cool is “an attitude that eludes those who try too hard to achieve it.” (Armstrong, 2008: 1) In the essay “Cold War Cool” by Thomas Hine (also in this work), he says “Those who speak and write most about it — including most of those quoted in this essay — don’t have it. Truly cool people know enough to keep their mouths shut. (Nevertheless, I shall proceed. )” (Hine, 2008: 194) So shall I. Buddy Holly in the 1950s. 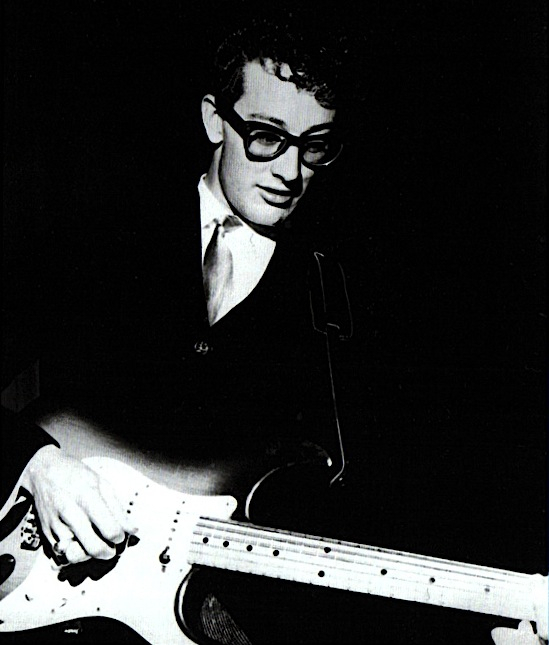 Anyhow, and to not get too far off the topic of Buddy Holly, here is a photo of Buddy used in Birth of the Cool. The caption beside Buddy Holly notes his influence on The Beatles and Rolling Stones, among others (including Jonathan Richman). So in thinking about all this, it’s appropriate to say that my S-10 Chevy is snowed in an alley parking spot just 2.5 blocks from the levy, and this Friday evening I’m going downtown Fargo for a bit of whiskey rye. And to think a bit about the weekend day that the music died. The world sure missed out on a lot of great tunes because of that plane crash in Iowa on February 3, 1959. They were trying to get to a show in Fargo-Moorhead. At least Buddy continues to echo throughout the rock and roll ages, whether we know it or not, aesthetics and rhythm and all. Thanks Buddy. This entry was posted on Friday, February 1st, 2013 at 6:41 pm	and tagged with Buddy Holly, California, Fargo, Great Plains History, Iowa, Moorhead, North Dakota, Punk Archaeology and posted in Uncategorized. You can follow any responses to this entry through the RSS 2.0 feed.